Samsung introduced the Galaxy S6 and Galaxy S6 edge. 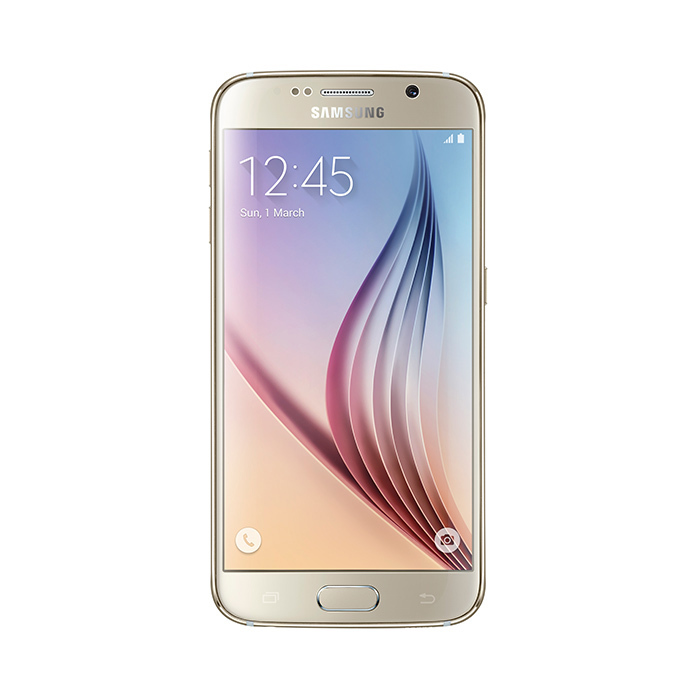 Samsung Galaxy S6 has a dual-glass design enhanced with a metal frame. The body dimension of Galaxy S6 is 143.4 x 70.5 x 6.8mm. Samsung Galaxy S6 has a 5.1″ Super AMOLED screen with Quad HD resolution of 577 ppi density with latest Corning Gorilla Glass 4 protection. The hardware Home key once again doubles as fingerprint sensor and supports the new Samsung Pay service. Galaxy S6 is powered by the company’s Exynos 7420 which offers octa-core 64-bit CPU with four Cortex-A57 cores ticking at 2.1GHz and four Cortex-A53 clocked at 1.5GHz and Mali-T760 GPU. Exynos 7420 is built on a 14nm process which is more energy-efficient and producing less heat compared to 20nm Snapdragon 810. S6 has 3GB of LPDDR4 RAM and the phone runs on Android 5.0 Lollipop enhanced with the latest TouchWiz UI. Samsung Galaxy S6 is equipped with F1.9 lenses and high resolution sensors on both 16 MP back camera and 5MP front camera. There is LED flash on back side of phone. Camera Supports optical image stabilization, phase detection autofocus, 4K recording. Galaxy S6 supports all connectivity package includes LTE Cat.6, Wi-Fi ac, Bluetooth 4.1, NFC, GPS with GLONASS and Beidou, IR blaster and FM radio. The Galaxy S6 is powered by a 2,550 mAh battery, Phone gets 1.5 times faster charging than the Galaxy S5 on USB charging, It support both Qi and PMA wireless charging. Samsung also claim that phone will run 4 hours in just 10 minutes of charging. Galaxy S6 will available on April 10 in 20 markets with three storage options of 32GB / 64GB / 128GB. The Galaxy S6 will be available in White Pearl, Black Sapphire, Gold Platinum, Blue Topaz.